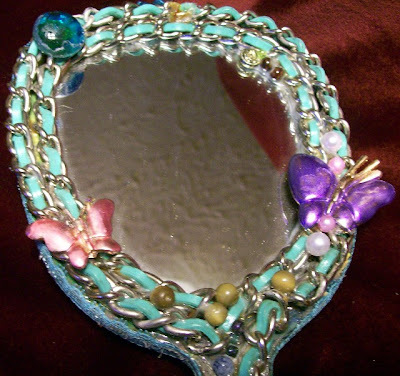 This is another hand mirror I have altered. These are so much fun and you can really get creative with embellishments. 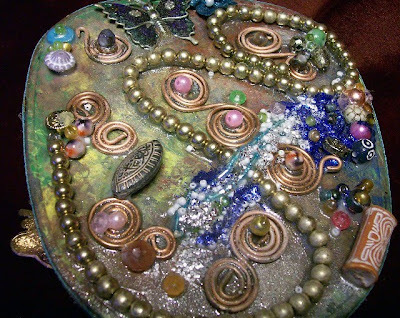 I decorated this mirror with several different items including a belt. Thrift store belts can be repurposed so many different ways. I use belts as straps for my purses. 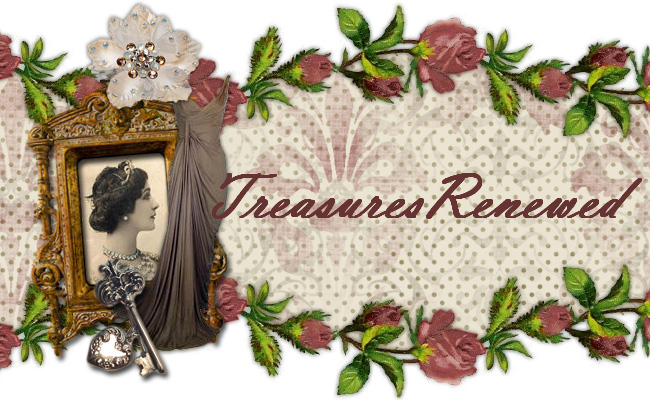 I use decorative buckles in collages. I have even disassembled beaded belts and reused the beads.